Who do u think is the better President until now & why? especially when it comes toTransfers!! I like Rossell's hard nosed bargaining and refusal to go for players violating all other budgetary constraints. Maybe he is better at transfers but Laporta is better than him in most other things the way I see it. Afellay: 3. Cheap (but normal under the circumstances of expiring contract). Since you're on the topic of transfers, wasn't Rosell the one that brought Ronaldinho to Barca? .... It's what I've heard. Well we all know you love Laporta Free. Laporta was a great president, maybe our greatest for the way he turned things around. He wasn't as good at maintaining the finances etc. once we did hit the top, but otherwise he was fantastic. Maybe Rosell is slightly better for helping the club maintain its level at the top. Assessing them in isolation. Rosell's done a good job in my opinion. Sorry, but a shirt sponsor was inevitably going to happen some day and at least Qatar Foundation is a better company to rep than others. Its aimed at developing sciences etc and education in the Arab world (completely disconnected to Barca, but 1,000,000 times better than an Arab oil company). Not much else he's done wrong really. Maybe he has tried to make out that we're more in debt than we are to make him look like more of a saving grace but I don't really care. Football is what I care about. If he stops us from selling our assets well done, I don't glorify presidents anyway, they're all far from perfect. Looking at his advantages, I do believe he's better at managing finances to Laporta. For sure, not even an argument, he is an accountant or something after all. Firstly, those prices aren't right from what I remember. Generally there were variables but variables normally come in when the club is succesful and has the money to spare. Moreover, bonuses are given to the whole squad anyway. I wouldn't include variables in the price. Adriano was 9.5m. Reasonable in today's market. He's quite underrated, can be our left back easily. Mascherano 19m. Reasonable and Masch paid the difference of 3m himself from his wages. Afellay 3m. Absolute bargain in my opinion, he's showed about a tenth of his ability at Barca so far. He's potentially worth as much as 20m. Sanchez 26m + a lot of variables. Really quite good considering dealing with a small club who really wanted as much as possible. He got the price down from an initial 40m. Thats good dealing. Sales: Has found reasonable deals for Ibra, Bojan, Chygrynskiy etc. All of that is pretty good. When we put it in context with the absolute disaster that was Laporta's dealings in the previous 3 years... he's done superbly. I don't think I have to go over those now do I? @Aristotle Onassis wrote: Since you're on the topic of transfers, wasn't Rosell the one that brought Ronaldinho to Barca? Played a big role, yes. He was a Nike executive in Brazil previously so has a lot of good connections there. A good point... one of Laporta's best transfers was actually... Rosell's. @BarcaKizz wrote: Well we all know you love Laporta Free. Well, we will have to pay all the variables for Adriano and Masche, so we have to consider the full prices now. Which are more or less the once I've said. Afellay was a bargain, but we could have signed him free 6 months later, so the price is normal. And Alexis Sanchez I consider him incredibly expensive. He is not worth more than 25 IMO, and we might end up paying 37. We should know the detail on the variables to fully assess though. There are plenty of things Rosell has done badly, and one of them you should be very angry about it (closing the club to new socis unless you've got family). If he was president of America, he would be subject to an impeachment due to the number of times he has lied. 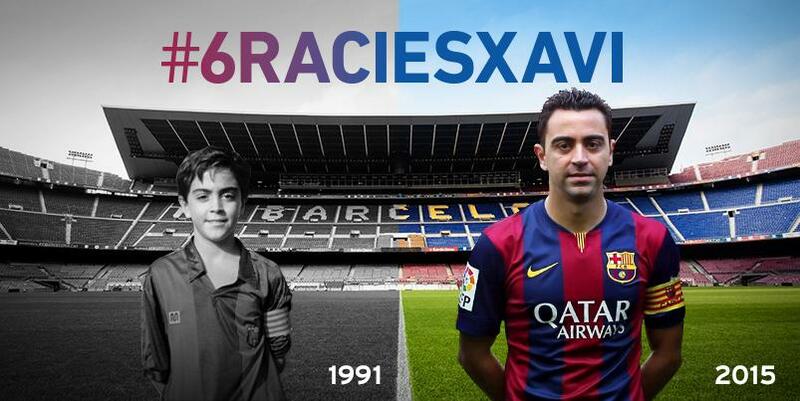 I'm glad though that he has stayed out of the sporting areas and has not made collapse Barça yet. However, his real test as president will be when Pep leaves (hopefully never). When that happens, we will see if Rosell can rebuild a project like Laporta did, or Barça will collapse signing a bunch of Brasilians with Scolari as manger (as he wanted to appoint him during the first season with Rijkaard). True, but as I said, variables are normally paid later when you have the money to spend. The idea should be that they helped Barca achieve something so that money is used to pay them back. Maybe without them we wouldn't have won. From the UCL alone you get loads of cash, 6m out of that for Masch and Adri isn't anything... doesn't really concern me. Maybe it should, but once we have the players... all I care about is football. There are plenty of things Rosell has done badly, and one of them you should be very angry about it (closing the club to new socis unless you've got family). Missed this one. I kind of forgot about it. Isn't it almost impossible to become a Soci anyway though? Takes like 20 years to go through? This is pretty horrible and very exclusive, but I hope he lifts it in the future. If I do move to Barca then maybe I will be very angry about this I'm optimistic this will change. If he was president of America, he would be subject to an impeachment due to the number of times he has lied. lol. I'm sure, but this goes for every politician. True, who knows. So far he's done a good job though, thats all I'm saying. Nope, before you could become a soci instanly, making it online. Another thing is to get a seat at the Camp Nou, which can take a long time. I'm a soci though I don't have a seat, but it's ok as I don't live in Barcelona, and being a soci is very usefull so I can vote in the elections and have tickets in important matches (you know about that). Ps. I think I already said this sometime, but people doesn't call Barça to the city. @free_cat wrote: Nope, before you could become a soci instanly, making it online. Another thing is to get a seat at the Camp Nou, which can take a long time. Oh OK. Thanks for that. Then yes! Why did he stop it becoming available???? What were his reasons, unfortunately this news is probably only big locally, not to International fans. Can't there be as many people as possible and then there is just ballots for seats/seat memberships seperate. Stupid. This does make me angry as thats something I could possibly do in the future. I'm a soci though I don't have a seat, but it's ok as I don't live in Barcelona, and being a soci is very usefull so I can vote in the elections and have tickets in important matches (you know about that). PS I think I already said this sometime, but people doesn't call Barça to the city. Mmm, poor english? I can understand it! I mean that no one calls Barça to the city of Barcelona. The shortening for Barcelona, as a city, is Barna. Barça is a nickname of the club entirely. @free_cat wrote: Mmm, poor english? I can understand it! I mean that no one calls Barça to the city of Barcelona. The shortening for Barcelona, as a city, is Barna. Barça is a nickname of the club entirely. Haha, your problem is you don't need the 'to'. Yeah, I think I knew this... but come on... Barca sounds a lot cooler than Barna lol. Abbreviation is normally BCN too isnt it? cat, I would have replied to your comments but kizz has already done that and I pretty much agree completely with him. Laporta was better. But i guess Rosell needs more time. who knows maybe afellay or sanchez could be the next big thing. However i will never forgive Rosell for the way he treated a club legend like Cruyff, who has done infinitely more for the club than rosell ever can. Another example of terrible management from Rosell. IMO, Rosell's main asset is that has not screwed up Laporta's legacy so far. That's a positive. In everything else, he sucked. I think I posted a list of Rosell's mistakes in a post opened by alfred on Rosell's anniversary, but I can't find it. Also his framing charges against Laporta was really low down. Would Laporta have sold Bojan? Somehow, I think not. For now Laporta is definitely better. Rossell's act of disrespecting Cruyff alone makes him a worse president. However I dont think Rossell is as bad as made out to be. For one,the guy knows how to make money.He is a money making machine. Plus he has initiated fiscal tightening. And in the financial state the club is in,this is exactly the combination we need. The Qatar deal has left an unsavory feeling, too. While it's great to make more money I definitely feel like Barca is a little less 'more than a club' now than before. @BarrileteCosmico wrote: Would Laporta have sold Bojan? Somehow, I think not. So Bojan can rot on Pep's bench? No, thanks. In todays market, what we payed for mascherano and sanchez is cheap. Just look how much liverpool payed for Jordan Henderson, a player who has proved alot less than those 2 have.. They overpaid Henderson, and he is british, does making him very overrated and more expensive due to british quota. A more appropiate comparison to Sanchez would be Luis Suarez, who was around 25 milion and is arguably a player of same or more market value than Sanchez. It's not really a appropiate comparison, seeing as sanchez played in a better league. Sanchez was the best player in serie a according to Gazzetta dello Sport, while Suarez was the best in eredivisie. And even then if barca don't win anything next season, sanchez will only cost €26m, €500.000 less than what Suarez cost. Going back to the current transfer market. How about di maria or Coentrão? Di maria cost €25m(€36m in total) and Coentrão €30m and they played in the portugese league, which is inferior to the italian league. Or Man utd paying 7.4 million pound for bebe, who was playing the 2nd division in portugal? As I said, atm the transfer market is really frakking crazy, what barca payed for Sanchez and Mascherano is a bargain at the current market, just as Suarez was a bargain..
@free_cat wrote: There are plenty of things Rosell has done badly, and one of them you should be very angry about it (closing the club to new socis unless you've got family). This one largely tips the scales in favour of Laporta for me. It's just archaic and backwards thinking, and I really can't find a fair reason for why this was done. Exclusivity is all I can come up with, and that's just poor business practice from a global brand like Barca.